Home - Mainport Warehousing B.V.
Mainport Rotterdam is highly experienced in global marine forwarding, warehousing, cross docking and cargo stuffing and stripping, and capable to provide you high quality services. Our committed team is ready to serve you 24/7. For more information regarding our services in cargo stripping, cross docking and forwarding in Rotterdam, please contact Mainport Rotterdam for more detailed information. At Mainport Rotterdam, we specialize in Marine forwarding, collecting, storage, on board delivery and forwarding and of marine spare parts for your ocean-going fleet. 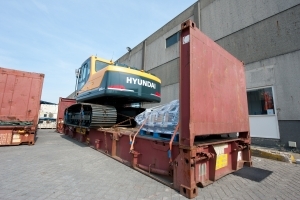 Delivery is possible by truck or barge in Rotterdam, Amsterdam or Antwerp ports. Or global forwarding by air, sea or road transportation to any other port, we will do it for you. Located very close to a large short sea terminal, we have the experience and expertise for efficiently Cross Docking your cargo for European destinations. 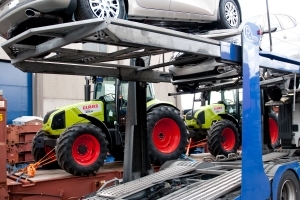 Stuffing and stripping cargo in and from containers and flat racks are our daily activities. Warehousing your cargo is in safe hands at Mainport Rotterdam. We are able to receive and forward your cargo with all means of transportation by air, sea and road. This includes door to door deliveries, oversized cargo, and specialized transport for heavy cargo. Please contact Mainport Rotterdam and tell us what kind of services you are looking for. Our experienced employees will be happy to make an appointment for you with one of our specialists. 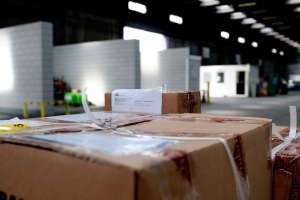 They will provide you with detailed information about cargo stuffing, stripping, transport and forwarding services. Boost your business by contacting Mainport Rotterdam today.